No supplements added. Click the button below to build your custom formula. You have not added any goals yet. *Approximate dosing, please refer to bottle label for correct dosing. Your custom supplement is an all-natural, vegan and gluten-friendly, and will be taken once or twice daily as capsule(s) or powder. 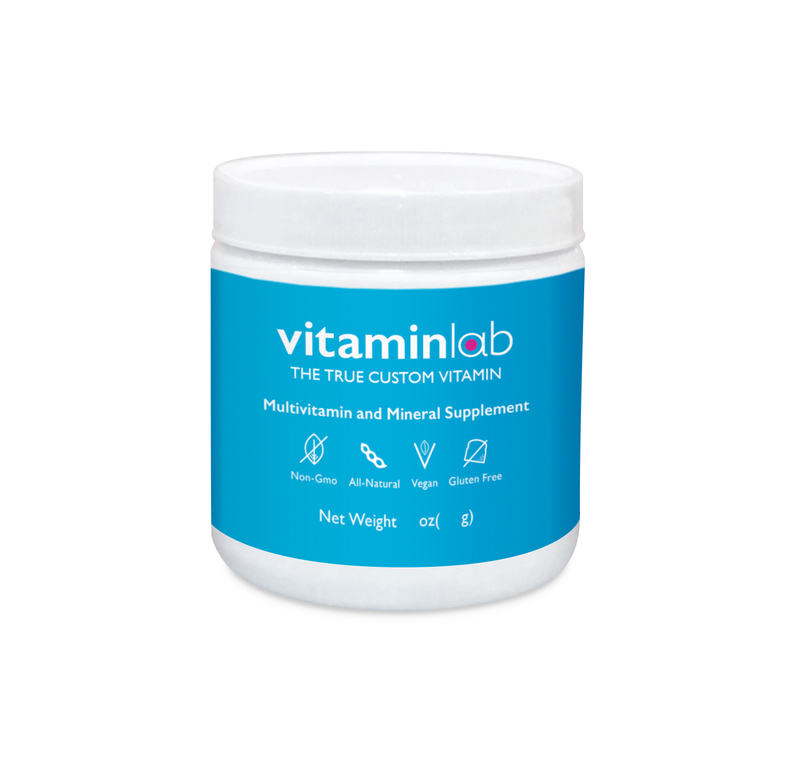 VitaminLab takes 5-7 business day to ship and uses health food grade ingredients, from the top suppliers in the world. You will be billed monthly for your supplement, which will be shipped to your home every 3 months. You can modify, pause, or cancel your subscription up to 14 days prior to you renewal date. Your profile does not have a phone. Please enter your phone and click continue. Maximum dosages have been set, if you are looking for a specific dosage please contact us for more information.